Summerlicious is one of my favourite things about Toronto. I usually don’t do a lot because I don’t have the time or people around me don’t have the time, so I do about 4-5 every Licious season. For Summerlicious, I’m did Café Moroc and Big Daddy’s Oyster Bar. Café Moroc and Big Daddy’s are the two restaurants I always go to. Once every Licious season. I’m a big fan of Café Moroc. I refuse to pay $50 on a thousand course meal that I probably won’t get through anyways, so Licious TO makes it a lot easier for me. For half the price, you get a meal you can actually eat without bursting at the seams. Although I did anyway. And here’s what I got. 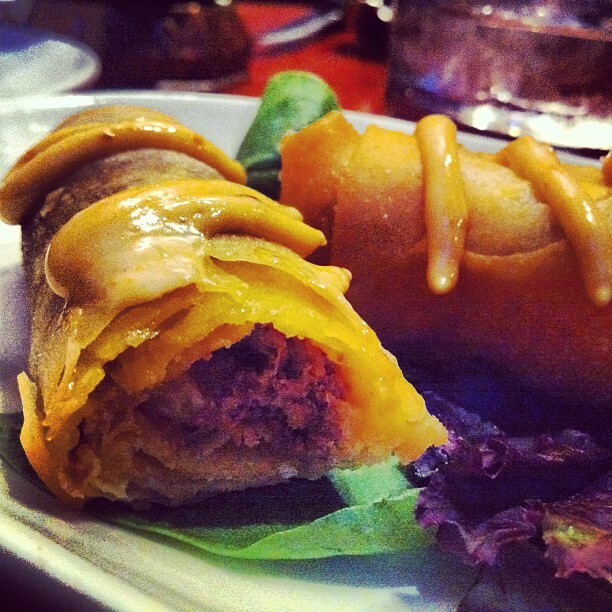 Flavourful, spiced beef, cashews and raisins in crispy, flakey pastry topped with chipotle aioli. I think these were my favourite part of the meal. The beef was so perfectly seasoned and spiced, and cooked well. I’m a big fan of texture, so the creamy aioli, crispy pastry and spicy tender beef was just perfect – beautiful harmony of colours and textures (Wow, I felt pretty gross saying that. But there’s no other way of describing the deliciousness I put in my mouth.) – I literally felt like Remy the mouse when he puts cheese and grapes in his little rat mouth. 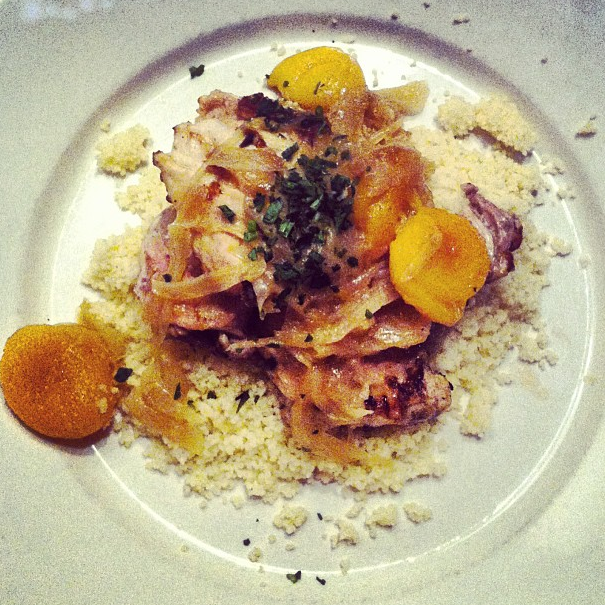 Boneless chicken thighs stewed with onions, prunes and dried apricots, served on fluffy cous cous. The Chicken Marrakesh was very subtley spiced and tasted best when you got onions, prunes and apricots and cous cous in your mouth at once. On its own, separately, the various elements of the dish were pretty bland, I’ll be honest. However the menu’s description of the cous cous being “fluffy” was accurate. 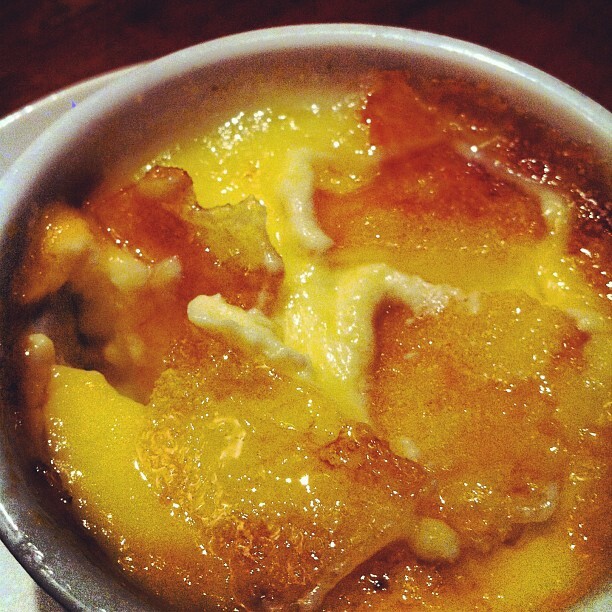 Your basic creme brulée, but way more buttery, crackly and delicious. I haven’t had creme brulée you actually have to tap to “break” in a long time. After I was done, my lips had this lovely coating of butter that you only get from eating things that have Paula Deen amounts of butter. Excellent. My boyfriend got the Moroccan Beef Short Rib, which was on the bone, and was served with Yukon gold parsnip mash, mini Casablanca vegetables (zucchinis, peppers and carrots) topped with a rich red wine demi-glace. They described the beef as fall off the bone and it was literally fall-off the bone. 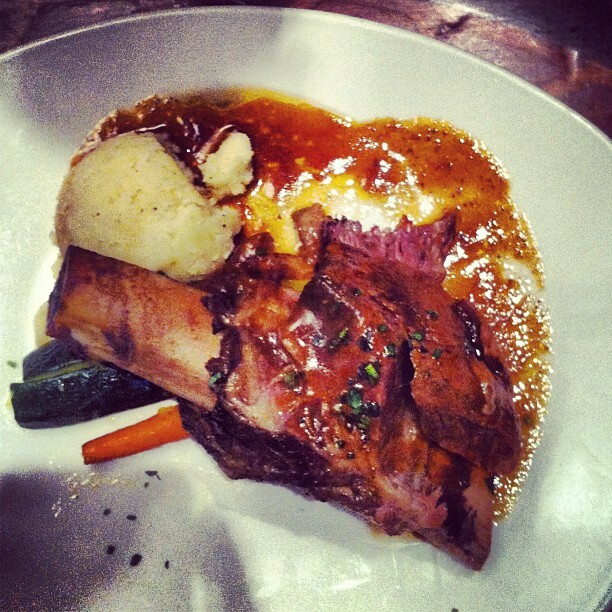 Tender meat melting in your mouth accompanied by that delicious red wine demi glace – perfection. I’m not eating potatoes but I can just imagine mash being the perfect bland side to it. I use the word bland loosely. If anything, this entire meal is worth it for the damn Maftoul. Dessert was spectacular as well, but the Maftoul was just. BEYOND. Big Daddy’s is one of my favourite restaurants. Those places I go more than once. I’ve even had the alligator on their menu. Yes. They have alligator on their menu. That should be the one single reason you go to this restaurant. If you’re not going Summerlicious, I suggest doing their tapas style menu during VooDoo Hours. They have small plates featuring crab cakes, alligator, fried cheese, and more deliciousness. I’ve never had soup at Big Daddy’s. I always get the popcorn shrimp, but I couldn’t pass on Lobster bisque. It wasn’t as creamy or thick as I imagined it to be – not that this mattered. It was still delicious. There were some unidentifiable chunks of shellfish with a strange, squeaky texture floating about but there was an equal amount of fresh lobster meat that helped me sort of forget whatever that was. 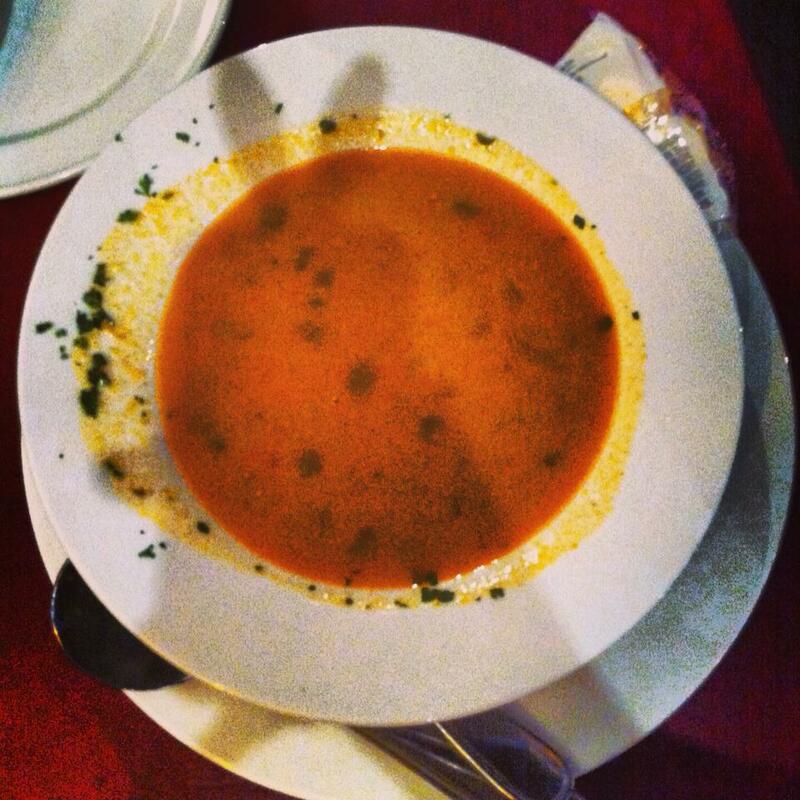 Overall the soup was delish and there are actually few things that are better than a good bowl of soup. My sister got the popcorn shrimp but I swapped my soup for her shrimp half-way through, because I wanted both, annnd that how life works. 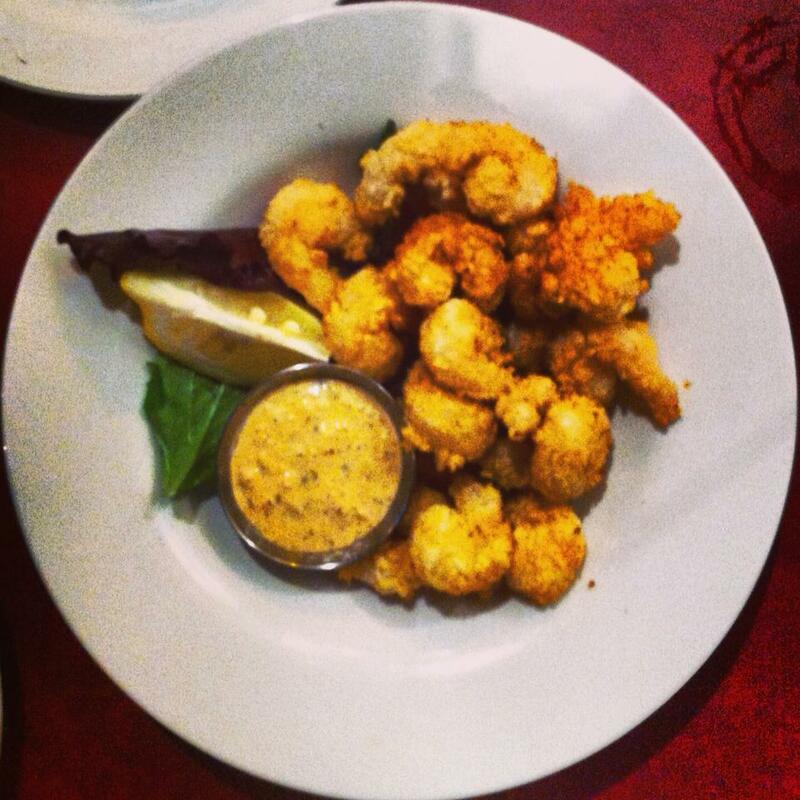 Popcorn shrimp – as it always is, was perfect. The shrimp was perfectly cooked just tender and juicy, and the batter it was fried in was actually popcorn-esque. It came with this yummy, herby, spicy mayo that was a perfect complement to the crispy, spicy shrimp. 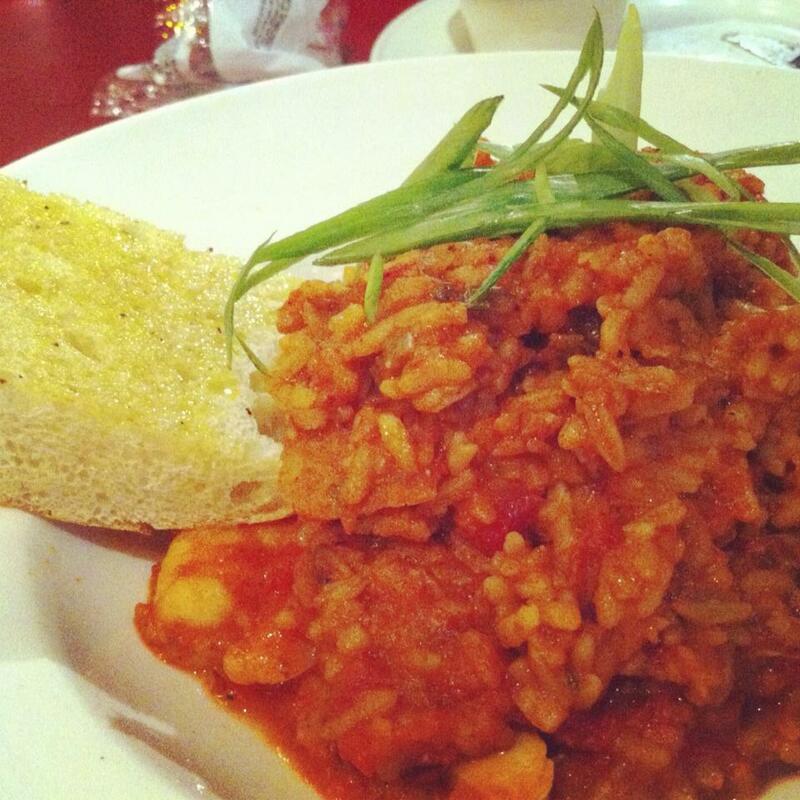 The jambalaya is perfect as always – rich with tomato sauce and juicy tomatoes, and generously dotted with shrimp, chicken and chorizo. This is my favourite dish at Big Daddy’s and they make it perfect every time. The meat is perfectly cooked, never tough or undercooked and the spices and flavours perfectly balance each other out. Get it. Go. Go to Big Daddy’s like NOW. 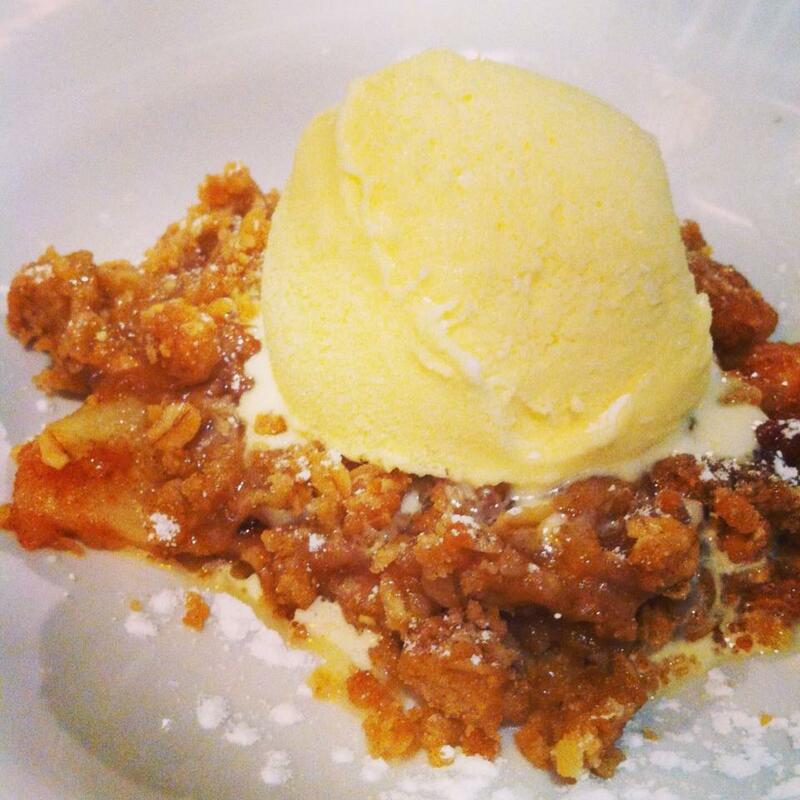 I have no words for their Apple Crumble. Like really. I don’t ever get any other dessert here, because the Apple Crumble is so perfect. It’s the most perfect dessert I’ve eaten. It’s how I imagine Apple Crumble to taste. Warm, with soft, tangy, apples with a slight bite to them, cinnamon, butter, flakey crumble topped with delicious, melting vanilla ice cream. It’s the perfect apple dessert. I want some now. I miss it. GO GET SOME. Right now. Okay bye. I’m hungry and I have apples and flour and butter and sugar there is only one way to spend the rest of my night.